We’d love your help. Let us know what’s wrong with this preview of Love, Christmas - Movies You Love by Mimi Barbour. 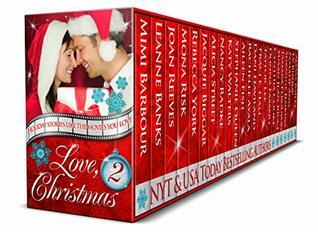 Mimi Barbour Sprinkle a little Christmas magic into your life with 26 ALL-NEW, never before released romances. Each title - exclusive to this set - is inspired by a favorite holiday movie, spun into a fantastic love story by a NY Times, USA Today, and/or award-winning, bestselling author and delivered to you in this wonderful collection full of cheer for the coming season. Published October 16th 2018 by Chill Out! To ask other readers questions about Love, Christmas - Movies You Love, please sign up. Prepare to laugh, to sigh, to feel each emotion these characters do as the season becomes miraculously and heart-warmingly magical! From dogsleds to snowmobiles, bed and breakfasts to ski resorts, or even Pass the Mistletoe, please! The sweetness of sugarplums, the spice of ginger cookies and magic of the season come alive in 26 distinct voices in LOVE, CHRISTMAS 2– MOVIES YOU LOVE! These talented authors took a movie title and turned it into their own candy cane-sweet twist on love and romance! READ Mimi Barbour – A Wonderful Life - Though Rylee works with troubled teens, can she and an angel help a man living a nightmare? READ Leanne Banks – A Royal White Christmas - Can a secret prince be a Christmas wish-come-true for a small-town girl? READ Joan Reeves – Brianna’s Season For Miracles - Her seductive persona hides what she's ashamed of... What will happen if the man she's fallen for discovers her secret? READ Mona Risk – Jingle With My Princess - The doc and the princess... He saves lives, but she may save his heart. READ Rebecca York – Can She Get Home for Christmas? - Will a killer stop her from getting home for Christmas? READ Jacquie Biggar – Mistletoe Inn - A grieving man finds the greatest gift is love. READ Alicia Street – Miracle on Christmas Tree Street - A single mom discovers her business partner is more than he seems. READ Nancy Radke – The Holiday (Christmas) - Jodi's house-swap to Maui came with a small dog and a shipwrecked sailor. READ Katy Walters –Letters from the Snowman – The snow revealed a precious love. READ Stephanie Queen – Holiday Affair - Melissa goes from riches to rags but will she find gold in a holiday affair? READ Aileen Fish – Christmas in Connecticut - Can a wounded warrior learn to trust her celebrity chef crush after discovering his secret? READ Rachelle Ayala – A Christmas Creek Carol - A reclusive writer is given a one-star review on her life by characters from her past, present, and future. READ Dani Haviland – The Polar Xpress - She prefers dogs to men…until she rescues the doctor. READ Traci Hall – Love, Actually (By the Sea) - Two strangers. One intimate night. Reunited a year later, can it actually be love? READ Taylor Lee – The Ref-er-ee - With a family this discombobulated, it will take a referee to save their Christmas. READ Donna Fasano – Her Mr. Miracle - It’s Christmas Eve and Veronica is stuck in a nearly deserted seaside town... She needs a miracle. READ Cynthia Cooke – A Christmas to Remember - A Christmas storm. Wedding plans in peril. Has a lost love been found? READ Susan Jean Ricci – A Joyous Holiday Inn - Can Twigg restore the joy of Christmas to Chloe’s indifferent heart? READ Tamara Ferguson – Two Hearts Home for Christmas - Can a long ago promise of love bring two lonely wounded warriors home for Christmas? READ Suzanne Jenkins – Christmas with the Clouds - Tracy isn’t interested in love until an unexpected Christmas visitor changes her heart. READ Natalie Ann – How Gavin Stole Christmas - Can Jolene help Gavin find the Christmas spirit when he’s the epitome of Mr. Bah Humbug? READ Ev Bishop – A Sharla Brown Christmas - For single parents Sharla and Jake, Christmas is the loneliest time of the year…until it’s not. READ Alyssa Bailey – In the Spirit of Christmas - Chase can protect Tara from danger, but can he protect his heart? READ Stacy Eaton – Finding Love on Christmas Vacation - Christmas isn't the same for Lucy without her father...until she meets his friend Maverick. Love, Christmas: Movies You Love is a superb anthology made up of 26 wonderful stories from 26 very accomplished authors. This is a fabulous collection of Holiday Romances, all with a common theme which is “favourite Christmas movies”- and each author has chosen one of their favourite Christmas movies as inspiration for their story. The movies range from “The Holiday”, “It’s A Wonderful Life”, “A Christmas Carol”, The Polar Express”, “Miracle on 34th Street”, How The Grinch Stole Christmas”, and “A Charlie Brown Christmas”- just to name a few. Every story is unique to the author and different from its companions- all having their own tone, feel and flavour- but yet managing to complement one another by the use of the same inspiration. The stories range from contemporary romance, to regency romance, second chances… and more. We meet a variety of wonderful characters who bring their story to life, characters such as; Doctor, Princess, Single Mother, Navy Seal, author, children, furry friends, magical beings, Angel, broken characters, and many more . This book collection took me on a journey that had a little bit of everything, from mystery, suspense, romance, humour, drama, emotions, deception, twists, surprises, heart, soul, snow, mistletoe, family, friends, memories, miracles, a touch of danger in places, new beginnings, painful pasts, sparks, sizzle, and many endearing characters. I was excited to see several of my favourite authors had contributed to the collection- Mimi Barbour, Stephanie Queen, Tamara Ferguson, Melinda De Ross, and Natalie Ann and as expected they didn’t let me down, captivating me from beginning to end with their stories. Other authors who I am familiar with from reading some of their works in other Anthologies, but as yet haven’t had a chance to fully explore their books- but this has pushed me to make sure that I do so very soon. Then there are quite a few new-to-me authors who I will now be adding to my TBR to enjoy over he coming months. So, be prepared to be swept away into all the various storylines and situations as each story unfolds. There are many hours of stimulating, heart-warming, and enticing reading to be had. So, strap yourself in and get ready for take-off. This book is a perfect way to spend some of the holidays, curled up beside a fire place, or relaxing by the pool- there is something here to please everyone. Love, Christmas - Movies You Love (The Holiday Series #2) by Various Authors, was a light heart, sweet, cheesy, slighly thillerish, good feels read that just put me in the mood to be ready for, the upcoming holidays. This anthology is a little different then your normal hallmark like Christmas collection. This as the title says, is based off favorite movies classic, some updated, some a little bent, but all have that cheesy, good feel spirit that I love. Being as there are 26 stories, I have yet Love, Christmas - Movies You Love (The Holiday Series #2) by Various Authors, was a light heart, sweet, cheesy, slighly thillerish, good feels read that just put me in the mood to be ready for, the upcoming holidays. Being as there are 26 stories, I have yet to read them all, I will, I just want to space them out until that glitty month is upon us. But I have read enough to where I need to tell you that, this book is worth your time and energy. And I'm going to tell you my first impressions, from the first story, and one more that I quite loved. A Wonderful Life by Mimi Barbour; pulled me in right away. The guardian angel, Noel, and Mary. It was strongly impactful, especially that opening scene. With a little divine help, sometimes things just fall into place, and for Noel, if he had done what he had intended, things for Mary would have been hell, and she, would have, even be possibly died. The power of choice is strong in that first story and it hit home a little too close. The other story I'm going to touch on is the fourth story, Can She Get Home for Christmas? by Rebecca York. Again another story that starts with a bang. That opening in the snow, the dark and the storm. Growing up in Northern Newfoundland, I know snow storms, so I knew the panic Sam was in, and I felt the cold. I like the paranormal elements, the mystery, and the little bit of a thriller. It topped off this story and made it stand out. Overall this anthology isn't just stories about Christmas, it has many different elements, a good mixing of genres, and of course an amazing assortment of very talented authors. You're getting a little bit of everything, and I truly believe there is a story in here for everyone, even if you don't like holiday themed books. So please take my super high recommendation and my stamp of approval, that you will find an engrossing read, and fall head over heals for this magical collection. I'm so glad I "stumbled" upon this anthology. Some of these authors are new to me while others are authors I've become familiar with over the last few years. While some of the stories are novellas or shorts from series, I don't think you will be lost at all with any of them and may actually desire to read the entire series because they are that good. Each story is a take on a "holiday" movie. Either a complete retelling or "fan fiction"... Some I have seen some I have not. Some movies I LOVED and I'm so glad I "stumbled" upon this anthology. Some of these authors are new to me while others are authors I've become familiar with over the last few years. While some of the stories are novellas or shorts from series, I don't think you will be lost at all with any of them and may actually desire to read the entire series because they are that good. Each story is a take on a "holiday" movie. Either a complete retelling or "fan fiction"... Some I have seen some I have not. Some movies I LOVED and watched over and over and others I didn't care for. Based on my movie viewing experience, I tried to be unbiased when reading these stories. LOVE, ACTUALLY BY THE SEA by Traci Hall - A quick and emotional story about memories and realities and new beginnings. A story about having regrets before even trying. "Life just happens. Nothing extra special or pre-ordained about it." THE HOLIDAY (CHRISTMAS) by Nancy Radke This is a story about house switching and I LOVED THE MOVIE so I was a little worried about how the author would "re-imagine" the story. It was everything I wanted it to be and so much more. I could go on and on and recap every book, but I feel like that would be doing you a disservice. Grab this anthology and read them all. It is one of those books that you can pick up and put down and not worry about "missing anything". If you are like me, you will rip right through it. You should get this anthology for an early Christmas start! I have not had time to read all the stories, but make sure you start your reading with “JINGLE WITH THE PRINCESS” Book 3 in the Modern Princes Series. This book is the story of how Princess Charlene, the youngest sister of Prince Paul, whom we met in “A Bride for Prince Paul” -the first book in the series- fell in love with Scott. We also get reacquainted with Scott, a dedicated doctor that we also met in the first book. This is a fantas You should get this anthology for an early Christmas start! I have not had time to read all the stories, but make sure you start your reading with “JINGLE WITH THE PRINCESS” Book 3 in the Modern Princes Series. This book is the story of how Princess Charlene, the youngest sister of Prince Paul, whom we met in “A Bride for Prince Paul” -the first book in the series- fell in love with Scott. We also get reacquainted with Scott, a dedicated doctor that we also met in the first book. This is a fantastic story. As with all Mona Risk’s books, the characters are likable and well developed. Even Scott, that in this book revindicates and gets his chance to demonstrate his real and romantic side, besides the great doctor that he is. The plot complicates when Scott fails to reveal his previous relationship with Amy, a member of the royal family. What is really great about the book is the way the author develops the characters as real people, even royals! I also loved the modern twist to the princess fairy tale and the settings wherein you get to travel and sightsee. Ms. Risk has written another winner! Although the story could stand alone, make sure that you read the whole series! You will absolutely love the stories of all the members of the reigning family of Rensy Island - Royals with a modern twist. Don’t miss the chance to read this book, included in this anthology. I was given an ARC copy of this book for an honest review. The opinions expressed are solely my own. There is room for Five stars on that Charlie Brown Christmas tree. This is one of those anthologies that you will absolutely love. You will laugh, cry, be enchanted by princes, and find the miracle of Christmas. One of my favorite stories was The Christmas Getaway, by Jen Talty. She is one of those very talented authors that excels in writing novellas. This one is no exception. The story centers around widow and single mom , Olivia Tate, her son Noah, and Ryder Jameson, a Navy SEAL whose tragic loss still haunts him. He’s looking to drown his sorrows with whiskey this holiday, while Olivia wants to make this one special for her son. When a reservation snafu occurs , they are thrown together in the same cabin. Neither realizing that it will also change their lives forever . At times you’ll cry for them . so have your tissues ready, but in the end , the miracle of Christmas will help heal them and give them hope for the future. Thanks to all the authors for sharing their stories this holiday season. Loved this story! This has all the spice you would hope for in one of Taylor Lee's stories, wrapped in a poignant Christmas tale that brought a smile to my face. Lucy's goes to her dads cabin to grant his last wishes. In doing so, she meets Maverick. He has known Lucy's dad for years and has been told many, many stories about her. Maverick falls in love without even meeting her. Now all Lucy has to do is fall in love with Maverick. This is such an amazing story. However I did shed a tear or two. I highly recommend, it is a standalone with a HEA. I love to read Christmas books all year long and this is one of those books that will supply my demand so nicely. This book is a nice collection of books based round the Christmas movies that we all love. Ebony is a romance write who has come back home to finish her book. She is staying at her old home and runs into her old almost step-brother who is home for Christmas. Blaze who is as hot as his name is a Marine home from the I love to read Christmas books all year long and this is one of those books that will supply my demand so nicely. This book is a nice collection of books based round the Christmas movies that we all love. In this novella we have Ronnie, who has run away from home for the holidays. Complete with a big old white wedding gown. Yes sir she has that big old thing stuffed in the trunk of her little bitty old car when that said car decides to die on her right outside of the town of Ocean City, Maryland on Christmas Eve. Karma, the hand of God or just Lady Luck set her on the path to Adam Rone and his son Mason and their hotel called Ocean Dreams. This book has some honest truths in it and at the same time is so sweet. I know about living with a houseful of mean spirited brothers so I understand Ronnie. What is a mom to day when the apartment she can afford for her daughter and herself is not in the nicest section in town? She starts saving and searching for a better one right. Then she works hard to improve the conditions in the actual apartment she is living in BUT the landlord is not exactly friendly. Sharla and her daughter Tegan are an amazing duo. They have set out to turn their complex into a family and Christmas friendly place to live. NOW they just need to get the landlord Jake Jeffery on board. Tegan and Terry, Jake's son met and become fast friends and the story grows from there. I loved this story and how much love comes from it! This one as a 5 star read for me as well. Oh this Novella had me in tears and in a good way. Lucy goes to her dad's cabin as always to spend Christmas. The only thing different was her dad was not there. He passed in October in a plane crash. But the next door neighbor was there this year Maverick. Seems he knows so much about Lucy but not the reverse. This is one of those books that its like you can see Lucy's dad's hand reaching down from heaven touching them at certain times and in certain ways. I really enjoyed this book. I would rate this more than 5 stars if possible. Hope you kept those tissues handy because you will need them with this novella as well. Ryder has come to escape Christmas by drowning himself in booze and skiing the days away. As fate would have it the "quaint" cabin was double booked so he has to share it with a widowed mom Olivia Tate and young son Noah. Ryder is not happy at all and as the novella moves on we learn why. I will let you discover why for yourself. That is part of the discovery process and helps you to fall in love with this story while also at the same time feeling the deep pains too. This book is another 5 star read. The books are very well written and each one to itself take you on a journey to the holidays. Grab a glass of wine, bar of chocolate and yes you will need some tissues for some of these reads and enjoy The Love of Movies that You Love ...reTold. This story is loosely patterned after A Christmas Story. Ebony was raised to work hard to get anywhere. She is a world known writer working on another book. She is back home where she grew up and her childhood friend Blaze is home on leave. I felt bad that kids made fun of her in school which has made her self conscious as an adult back in her home town. When we are children/young adults we don’t always make the best decisions on how we treat others. In a dream, Ebony’s mother comes back and opens her eyes. It is a cute short story. This was a sweet love story. My favorite character was Adam’s son Mason. He melted my heart with how sweet he is. I am sure he got that from his dad as Adam always tried to help people in trouble. Adam’s ex had problems that complicated his life at times, but there was always hope that she would get better. Ronnie was very understanding of Adam’s ex wife. I think since she helped so much with her younger twin brothers she had more empathy. I encourage you to read the book. This story is lightly a take off of A Charlie Brown Christmas. Sharla and her daughter moved to the US from Canada into an apartment building sight unseen. Once she saw the building, she knew why it was so much cheaper than other places. She is such a good mother to her daughter. I know it had to be hard with just her salary and no family. I loved how upbeat she was, and made others laugh. Unfortunately she thought the owner was a slum lord and didn’t fix the place up because he wanted the money for himself. We all have a tendency to make snap impressions without knowing the whole story. I though it was funny when she met Jake and his son, then realized he was the owner of the apartments. I enjoyed this cute story, and encourage you to read the book. This is a short, sweet, love story. I thought it was nice that Maverick had feelings for Lucy just by listening to her father talk about her for ten years. It was so sad that her father had recently died, but I was so glad she had Maverick. I felt that Lucy’s father was trying to get Lucy and Maverick together for a long time even though they hadn’t met. It’s sad when a loved one dies and we see later how much so many people loved the person that we never knew about. I encourage you to read the book. I voluntarily read an Advanced Reader’s Copy of this book. This story is a little sad, but hopeful. It touched my heart. Olivia’s little boy was only nine, but he had the maturity and caring of someone much older. I felt so bad for Ryder and what he went through. I couldn’t begin to imagine his feelings. I loved that fate brought Ryder and Olivia together. They were good for each other. I encourage you to read the book. I have read these books so far. If you like short, Christmas stories then this set is for you. I voluntarily read an Advanced Reader’s Copy of these books. I loved this book! At first. I was so sad to see a beautiful family fighting and being so nonchalant about Christmas and their relationship. It was even worse to see the two parents who were in love, but had lost their way some, be so mean to each other. I loved the backwoods miracle that came into their lives. It was such a good ending. A great, modern retelling. Noel believes he lost everything and has nothing to live for. Insta-love story. No real connection between them besides a few meetings. Brianna is trying to change her behaviors after last year's debacle. She doesn't feel loved or accepted by anyone and wants to change for herself. Loved Scott and Charlene. Scott's ex is terrible and unforgiving. A Decorah Security story. Very interesting and I would like to read more about this group. A sweet read with a single mother and damaged man who thinks no one could love him. Hannah was hurt by her ex, but she is now bitter and jaded. No one can do anything right in her eyes, from her poor daughter to the man who is falling in love with her. A difficult character to even like. A cute read. Jodie trades houses to get away from a stalker and find Stuart already in the house. I would have liked to have charges filed and the police involved with Fred. He is left to terrorize another woman. So different. There is pain, hurt, magic, and healing in a time it is desperately needed. I loved Melissa's journey, but was sorely disappointed in the lack of ending. This is more of a teaser, missing the conclusion. Ebony is so focused on past hurts and being a workaholic, she is missing life. Blaze adores her, burr she is too focused on her writing to pay attention. She is very flighty and petty. He can't choose whether he is sent overseas when he reenlists. Veronica is running from a family who treats her poorly and Adam is trying his hardest to keep his family whole. I admire Adam and his kind heart, but some relationships are too toxic to allow. Sharlene is not happy with her living situation and constantly calls the landlord, Jake, complaining. Jake is trying hard to raise his son and be a good landlord, but his newest tenant is too high maintenance. They meet, not realizing they already know each other, and sparks fly. Maverick heard everything about Lucy for years from her father, and he is determined to meet her this year. Lucy just lost her father, and the pain of visiting his cabin this Christmas is very difficult. She runs into many problems ans Maverick is more than willing to step up. Lucy was difficult to like with her erratic behavior. Who doesn’t like a HEA Christmas story? This is a sweet fast pace Story of how Lucy fell in love on Christmas Vacation. Lucy would join her father every Christmas at his cabin. For years, her father had been telling her about his friend Maverick, that always came up to the neighboring cabin, the week after Christmas. Lucy thought that Maverick was around the same age as her father. This year would be different for Lucy at the cabin, her father had passed away in October and she would be all alone celebrating Christmas and fulfilling her fathers last request that his ashes be spread on the lake on Christmas day. Maverick was only two years older that Lucy and he had fallen in love with her years ago, from the stories and pictures that her father would share with him. Every year he tried to rent the cabin the week of Christmas so that he could meet Lucy, to no avail. This year he had booked it a year in advance to make sure that he would be there for Christmas. Sparks fly the moment they meet. As Lucy and Maverick share their memories of Charlie, Lucy’s father, Maverick love for Lucy is confirmed and Lucy falls in love with Maverick. This is a sweet holiday romance by Stacy Eaton. Ebony, a romance writer has come home to Christmas Creek, for the holiday season, to write. She is on a deadline and her characters will not cooperate. Blaze is in the Military and has come home for the holidays to see his father, but also because he knows that Ebony will be there. Blaze and Ebony were almost step-siblings, years ago, but that did not stop Blaze from having feelings for Ebony. Can Blaze convince Ebony that they are meant to be together? A sweet addition to this box set. Ryder, a Navy Seal, has booked a cabin at a ski resort for the holiday. The anniversary of his wife and sons murder is on December 26th. He plans on skiing during the day and getting drunk at night. Oliva takes Noah away for Christmas every year so that she doesn’t have to be around family. Oliva’s husband had been a Navy pilot and had been shot down and killed before Noah was born. Oliva and Ryder both have had a tremendous loss, but together they find that they can help each other through the pain. What a lovely story by Jen Talty. This is the perfect anthology to get you in the holiday spirit regardless of the season. What caught my attention right away was the names of some authors I was familiar with, Mimi Barbour, Tamara Ferguson the list goes on. What kept my attention was the the collection of stories truly fit for anyone whether they like to embrace the holiday with a few laughs, tears or heart racing suspense. I’ve listed just a couple of the stories that got me excited and ready for the season to come but I definitely recommend you check out this collection yourself, otherwise I’d be here boasting about it all day! A Royal White Christmas is a royally sweet story that gives a new meaning to the word Mistletoe. This is my first experience with Leanne Banks’ writing but this novelette was thoroughly satisfying. Short and sweet with great characters, and who doesn’t love a love story with a great dog? Perfect short story to get you in the spirit of the season with unique flair. the very first page and the reference to one of my favorite authors helped seal the deal. When Sam is stranded on her way home for Christmas she wants to believe in the good of people but soon learns she really doesn’t know who to trust. I like my romances with a touch of danger so this was the perfect quick read. I’m definitely curious to read more of Rebecca York’s Decorah series in the future. Love, Christmas - Movies You Love (The Holiday Series Book 2) By Mimi Barbour, Leanne Banks, Joan Reeves, Mona Risk, Rebecca York, Jacquie Biggar, Alicia Street, Nancy Radke, Katy Walters, Stephanie Queen, Aileen Fish, Rachelle Ayala, Dani Haviland, Traci Hall, Taylor Lee, Donna Fasano, Cynthia Cooke, Susan Jean Ricci, Tamara Ferguson, Suzanne Jenkins, Natalie Ann, Ev Bishop, Alyssa Bailey, Stacy Eaton, Jen Talty, Melinda De Ross. Give me all the Christmas type stories you can all year round! I’m Love, Christmas - Movies You Love (The Holiday Series Book 2) By Mimi Barbour, Leanne Banks, Joan Reeves, Mona Risk, Rebecca York, Jacquie Biggar, Alicia Street, Nancy Radke, Katy Walters, Stephanie Queen, Aileen Fish, Rachelle Ayala, Dani Haviland, Traci Hall, Taylor Lee, Donna Fasano, Cynthia Cooke, Susan Jean Ricci, Tamara Ferguson, Suzanne Jenkins, Natalie Ann, Ev Bishop, Alyssa Bailey, Stacy Eaton, Jen Talty, Melinda De Ross. Give me all the Christmas type stories you can all year round! I’m a sucker for them and this collection is fantastic and exactly what I was hoping for. Each story is different and well written. A few of my favorites are: Her Mr. Miracle, Mistletoe Inn and A Christmas Creek Carol. In Her Mr. Miracle we meet Ronnie who needs a bit of an escape but runs into some issues and meets Adam. This entire story makes my heart melt and had me hooked. It’s well written and paced nicely. In Mistletoe Inn we get an emotional romance story about Noah and Molly. It’s everything I love in a holiday season romance story. The characters are relatable and easy to connect with. The author captures the spirit in written form with attention to details and characters you can relate to. In A Christmas Creek Carol we have Ebony and Blaze who have known each other forever but will this holiday season bring them closer like Blaze would like? Ebony is all work with a deadline, can she remember there’s more to life than work over the holiday? Oh my goodness..I loved this so much. We are coming in to my favorite time of the year and this group of authors just made my last couple days and I am now completely in the spirit of my favorite season of all time! I dont know who came up with this idea of taking my favorite movies of the season and turning them into books inspired by these movies but it was a brilliant idea. 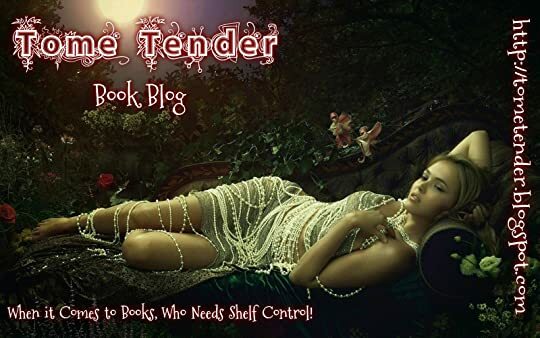 What I loved also was that there are a few authors in this anthology that are already absolute favorites of mine, and now I have so many more new authors that I want to read more from. I thought that maybe I would write a little bit about each story but oh my that would take a while, and then I thought well Ill write about a few of my favorites and i couldnt figure out which ones I liked best. I can only say that you must read these stories. Carve out some time, and if your having trouble getting into the spirit of the season this is all you will need to remedy that. I will absolutely read every one of these again on a cold icky weekend cuddled up in my favorite chair sipping my favorite coffee, and will be visiting each of these authors pages to find more from each of them. The anthology Love, Christmas - Movies You Love (The Holiday Series Book 2) are wonderful stories that I loved reading. The stories are all different lengths however the romance and spirit of Christmas shines through with each one I read. There are so many different authors that I have never read stories by and I found that I enjoyed the different writing styles. Those are the main reasons that I love anthologies so much. There are heartwarming and romantic moments that I loved reading about. I enjoyed reading about the characters, how they interact with each other and the role each one of them has in the stories. Starting each story that I read was like unwrapping a different present under the tree. There are moments that make you go “Aww” and also times when I got misty-eyed. Each story that I read was wonderfully written and ones that I would recommend. A cup of hot chocolate and a plate of cookies are recommended when you settle down on the couch to read this anthology. A fabulous set of stories with a seasonal theme, Love, Christmas - Movies You Love Box Set holds a whopping great 26 novels, that will tick all the Yuletide boxes for a literary gift you'll remember for the whole of the coming year! They are: Mimi Barbour, Leanne Banks, Joan Reeves , Mona Risk , Rebecca York , Jacquie Biggar, Alicia Street, Nancy Radke, Katy Walters, Stephanie Queen, Aileen Fish, Rachelle Ayala, Dani Haviland, Traci Hall, Taylor Lee, Donna Fasano, Cynthia Cooke, Susan Jean Ricci, Tamara Ferguson, Suzanne Jenkins, Natalie Ann, Ev Bishop, Alyssa Bailey, Stacy Eaton and Jen Talty. I particularly loved Suzanne Jenkins' sweet tale, Christmas in the Clouds. Brian and Tracy Cloud and their 4 year old daughter Jasmine seem to live a charmed life; happily married and good parents, with large salaried employment and a lovely family home in Utah - what more could Tracy want? Yet due to past unhappiness, insecure professional therapist Tracy fears she could lose it all in an instant, if Fate or a higher power decided to burst her blissful 'bubble'. Brian has an important yet risky job as a blaster on construction sites and Tracy worries about that too, especially when she hears of a tragic accident in the area he's working in, which has claimed 4 men's lives. When Brian's boss and another guy arrive at the house, the worst possible news is confirmed. What does Tracy do next? How will she rescue Christmas for Jasmine when her own heart is breaking? Who is Mrs Lincoln and how does she help Tracy cope? Who does Tracy go to visit in Idaho? Who goes with her? Love, Christmas 2, Movies You Love; is a delightful collection, perfect for light holiday reading. A Sharla Brown Christmas is a fun and fabulous frolic. Ev Bishop brings the joy of Christmas to life with endearing characters you can’t help but cheer for. Sharla, like Charlie Brown, discovers the true Christmas spirit. It is not material things, but rather friends and family that make the Yuletide bright and love really can triumph over all. A Christmas Creek Carol is a charming cozy. A romance wr Love, Christmas 2, Movies You Love; is a delightful collection, perfect for light holiday reading. A Christmas Creek Carol is a charming cozy. A romance writer comes home to a fantasy town where Christmas lasts all year long to finish her novel on a tight deadline. She is blocked by the lack of romance in her own life and her tragic memories of Christmas past. A surprise visit from a handsome marine, (who was almost her step-brother,) Blaze, sets her life on fire and ignites a new passion for the season. Her Mr. Miracle is a wonderful, lighthearted story that will fill you up with holiday cheer. The perfect read for a cold winter’s eve. Finding Love on Christmas Vacation is warm, witty and will bring tears to your eyes. When Lucy father dies in a place crash, his last request is for her to sprinkle his ashes by the wilderness cabin he loved so much on Christmas morning. But dearly departed dad has mischief up his sleeve. Will his plotting bring the two people he loves most together or blow everything up in their faces? A Christmas Getaway is a heart-breakingly sweet tale. A blizzard strands a single mother and her son in a ski chalet with a Navy Seal intent on celebrating Christmas with a case of Jack Daniels. It seems like a disaster until they discover their shared tragedy makes their broken lives fit together perfectly. Currently the Love, Christmas - Movies You Love anthology is available for only 99 cents. This is a fantastic deal even if you only read one of the stories (as I have at this point). I've read A Sharla Brown Christmas, written by one of my favorite authors, Ev Bishop. It's a great feel good story about a single mother and a single father who are each dealing with their own memories regarding past relationships. Sharla's daughter Tegan is happy to find a playmate living cl This is a fantastic value! This was a really sweet Christmas story and teaches us not to always judge people when we don't really know anything about them. As the holiday draws closer Sharla and Jake begin to feel more than friendship. A Sharla Brown Christmas is a quick read with lots of nice feels. You can't go wrong with this huge anthology of stories and I look forward to reading more of them soon. This is an anthology that makes you want Christmas to come - and I'm not a huge fan of early Christmases! I was gifted an ARC of this by Jacquie Biggar, author of "Mistletoe Inn" in the anthology. The stories are heartwarming, with each making you believe a little bit more in human goodness and the potential for a happy ending. I absolutely love this Christmas collection! I had the opportunity to read several books in this collection and enjoyed them all. There is nothing better to put you in the Christmas mood than reading wonderful Christmas love stories. This was a wonderful Christmas read! Love and holiday season fills the pages of this multi author book bundle. New authors and favorite authors in these amazingly written stories. I now have some new favorite authors to read. Each story keeps your attention and pulls you in. Page after page, it consumes you. A must read for all book lovers! Mimi is an incredibly busy NYT and USA Today award-winning, best-selling author who has seven series to her credit. The Vicarage Bench Series – Spirit/Time -Travel tales that have a surprising twist / The Angels with Attitude Series – Angels Love Romance / The Elvis Series – Make an Elvis song a book / Vegas Series – 6 books full of romantic suspense, humor and gritty conflicts / and… the fast-pac Mimi is an incredibly busy NYT and USA Today award-winning, best-selling author who has seven series to her credit. The Vicarage Bench Series – Spirit/Time -Travel tales that have a surprising twist / The Angels with Attitude Series – Angels Love Romance / The Elvis Series – Make an Elvis song a book / Vegas Series – 6 books full of romantic suspense, humor and gritty conflicts / and… the fast-paced, edgy, humorous, romantic suspense, Undercover FBI Series /The Holiday Heatwarmer Series - puppies become cupids. And the latest, explosive Mob Tracker Series - five books full of conflicts and characters you'll hate to leave. **A TOUCH OF PASSION, has just become the 2016 WINNER of The Romance Reviews Readers' Choice Awards.